On Thursday at the 2015 Diamond Retailer Summit in Baltimore, Maryland, Marvel Comics announced X-Men '92 will return as a new ongoing series in Spring 2016. 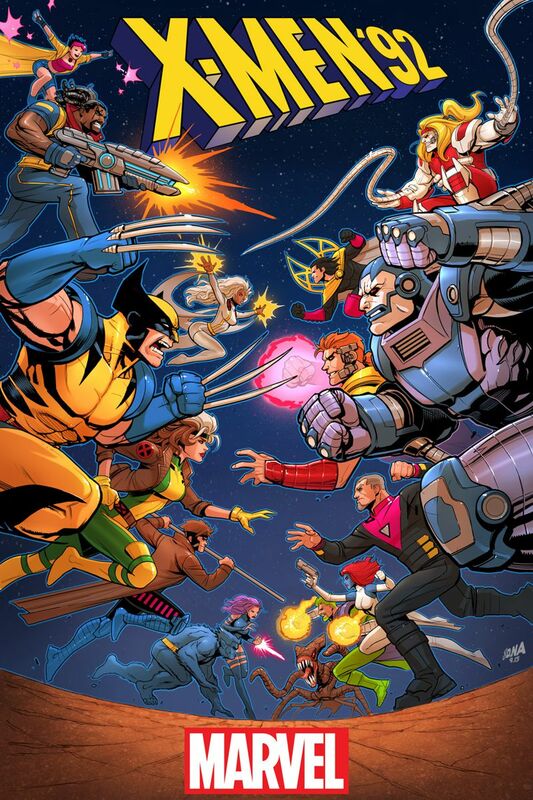 Earlier this year, Marvel tapped into nineties-era nostalgia with X-Men '92, a Secret Wars miniseries. It had the look and feel of the popular animated series Fox's much-beloved X-Men: The Animated Series, which ran from 1992 to 1997. Chris Sims and Chad Bowers will continue to pen the series. It'll be illustrated by Alti Firmansyah (Star-Lord & Kitty Pryde) and David Nakayama will handle the cover artwork. Below, check out Nakayama's cover.